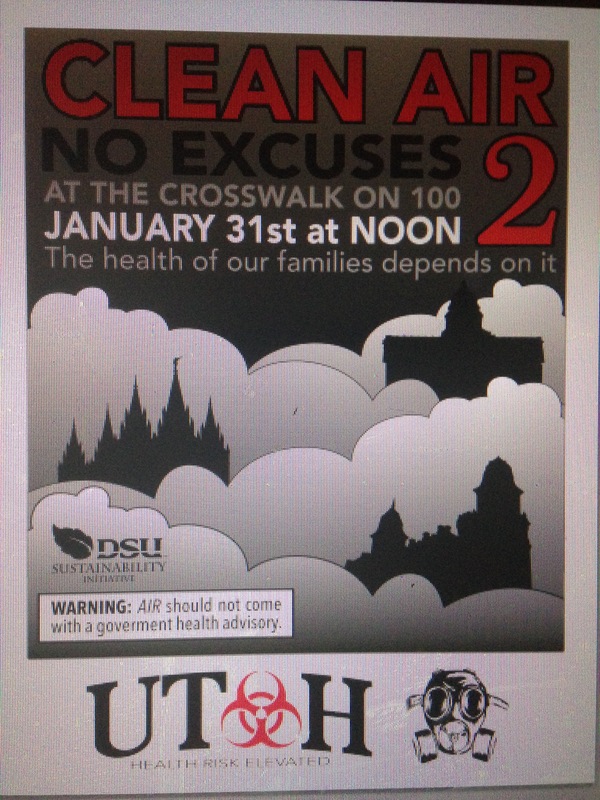 ST. GEORGE — The public is invited to join the Dixie State University Sustainability Club in taking a breath of fresh air Saturday at the Clean Air No Excuses Rally. 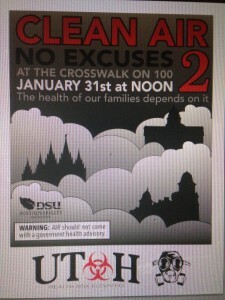 This rally, which is also a sister rally to one that took place in Salt Lake City last year, is an active way to discuss clean air and sustainability while making signs to present in the crosswalk at 900 East and 100 South between the DSU Science and North Instructional buildings in St. George, DSU Sustainability Club President Trevor Anderson said. Although St. George is not yet suffering from air quality issues like Salt Lake City’s inversion, Anderson said, the appearance of a haze is becoming present, as well as other air quality problems. “We are asking the state legislature to support measures and bills aimed at cleaning up the air we all breath,” he said. Last year, large crowds gathered at Salt Lake City’s rally, and this year, three sister rallies in St. George, Moab and Logan, are taking place in an effort to preserve clean air in Utah. Anderson, who moved back to St. George after living in Salt Lake City for five years, said he decided he wanted to help Southern Utah sustain its fresh air quality in anyway he could. Clean air is important for everyone, he said.